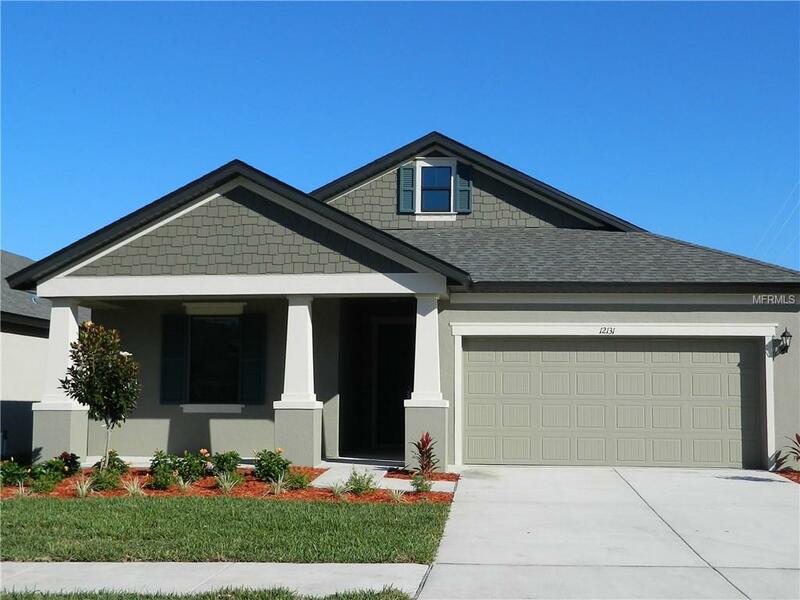 Gorgeous, brand new 3 bedroom /2 Baths/2 Car Garage home for rent. Bright with lots of natural light and awesome open floor plan this beautiful home has everything you are looking for: Open kitchen, upgraded 42 inch espresso cabinets, granite counter tops kitchen and baths, stainless steel appliances, eat-in kitchen and breakfast bar. Great room connects the whole house and is fantastic to relax or to entertain friends & family. Split bedroom plan for peace and privacy. Large beautiful master bedroom has gorgeous bay window, huge master closet, & spacious beautiful master bath w/granite counter double sinks. Generously sized secondary bedrooms share 2nd beautiful bath. Separate dining space to right of kitchen also connects with great room and could be used as office, gym, or play room. Treat yourself to a brand new home, in a beautiful, gated, small community with playground assigned to coveted Newsome High School, sought after Barrington Middle School and brand new Dawson Elementary the "school of the future" including new technology, robotics lab, high tech media center and 3D printers! This home is conveniently located with easy access to 301 and I-75, ideal for anyone working in downtown Tampa, Brandon or Riverview, and it's an easy drive to all the shopping, employment, hospitals, sports, restaurants and entertainment in Brandon, Riverview, Tampa, Sarasota, St. Pete & Orlando. Call today and make this beautiful new home YOUR brand new home! Additional Pet Fees Pets Will Be Considered On A Case By Case Basis. Pet Restrictions Per Hoa And Pets Will Be Considered On A Case By Case Basis.